Working on an Amazon baby registry? Look no further. One of the first decisions expectant parents will make together is where to create their baby registry. 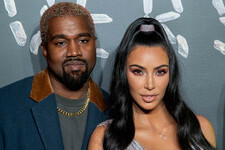 Although plenty of first-timers opt to register with retailers who also have physical stores — such as Target, Walmart or Buy Buy Baby — registering at Amazon is also an extremely popular option. And it isn’t difficult to see why. There are seemingly endless options when it comes to baby options on Amazon. So, chances are, you’ll be able to find everything under the sun for your little one. And if by some chance it doesn’t have a particular item, then Amazon offers a Universal Registry button that allows you to add items from other sites. Simply install the button onto your browser and utilize it when you find that perfect product on another site. The item will then be added right to your registry. Like most other baby registries, Amazon also offers a number of other perks for those who register with them, including a completion discount of 10 percent (or 15 percent, if you’re a Prime member) on products that you buy from your registry less than 60 days before your due date (and up to 180 after). Free 90-day returns on registry items is a pretty nice feature, too. Oh, and the free two-day shipping for Prime members or for orders costing more than $25 is definitely great as well. Bonus: After you complete your registry and then at least a $10 purchase is made from this registry, you are eligible to receive a baby registry welcome box filled with samples and goodies. And so, without further ado, let’s take a look at the best Amazon baby registry products out there today. This list is based on my personal experience with having three babies so far, as well as reviews from other parents, and Amazon’s best-sellers. So if you're a first-time expecting parent, go ahead and bookmark this page now for future reference. If you didn’t already know, the Boppy brand is probably most well-known for its line of nursing pillows. (Which I would also highly recommend.) However, this Boppy Newborn Lounger is also incredibly useful during those early months with your little one. And it’s 4.8-star rating on Amazon seems to agree. This lounger’s recessed interior cradles your baby comfortably, allowing him to hang out alongside you while awake — or so you can actually accomplish something hands-free around the house. 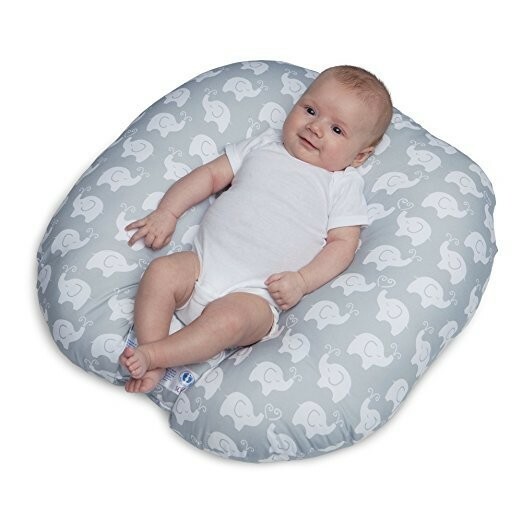 At $29.84 (with the price varying, depending on the print,) the Boppy Newborn Lounger is intended for babies up to 16 pounds or until they can roll over on their own. The majority of been-there-done-that parents will probably agree: Diaper bag backpacks are so much easier to tote around than messenger-style diaper bags. And if you take a look at Amazon’s best-selling diaper bags, backpack-style bags are overwhelmingly the top choices. 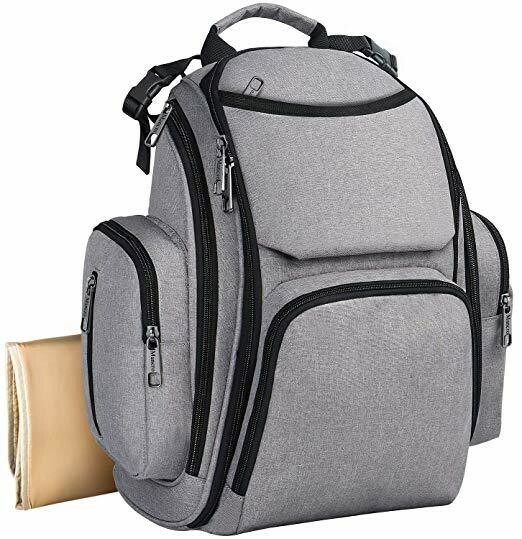 The Mancro Diaper Bag Backpack is a water-resistant, lightweight option that offers an ample amount of space in its main pouch and pockets to store all of your baby’s supplies. The grey version is currently priced at $19.99, and the black version is $35.99. Having had three babies so far, trust me when I say that a travel system is a baby registry must-have. The Graco Fastaction Fold Click Connect Travel System is perfect for seamlessly transferring a sleeping baby into a stroller without waking her up. And the ability to fold up the stroller in seconds using just one hand is incredibly convenient for parents with already full arms. Parents will surely appreciate the large storage basket at the bottom, too. 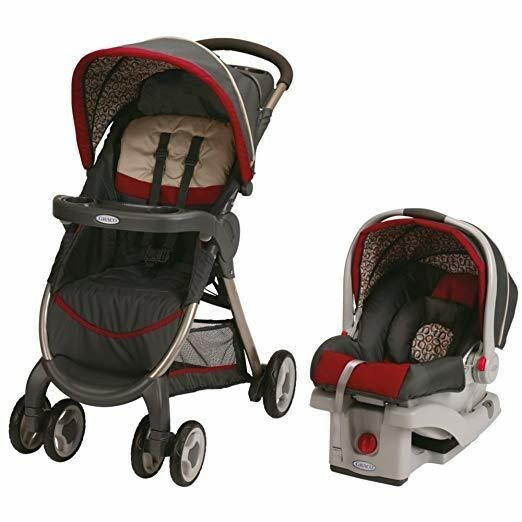 Although the price varies depending on the style you choose, the pictured travel system is only $115.99 — practically a steal. Just be sure to purchase an extra car seat base, if you plan on using the car seat in more than one vehicle. 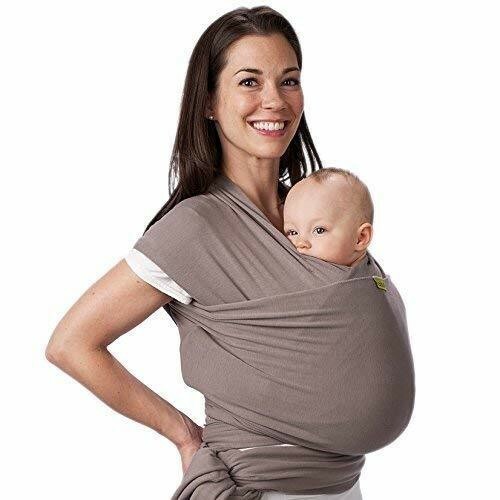 Unlike a structured baby carrier, this Boba Baby Wrap Carrier is one, long, stretchy piece of fabric that you turn into a carrier by wrapping it strategically around your body. It’s worth noting that baby wraps typically come with a learning curve at first. So you’ll definitely want to check out a tutorial video like this one to make sure you’re doing it correctly. At $39.95, plenty of parents swear by the convenience of this hands-free tool. Bonus: Breastfeeding moms can discreetly nurse their little ones while wearing them in the Boba Baby Wrap Carrier, if they so desire. Only one of my babies so far has taken a pacifier — and she was by far the most chill and best sleeper of them all. 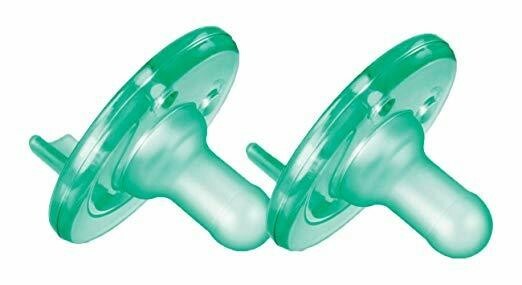 Philips Avent Pacifiers are similar to the pacifiers given to babies at the hospital. (Or maybe they’re the exact same kind, depending on what your hospital uses.) And trust me, if your baby ends up loving pacifiers, you’re going to want to have several on hand at all times. Because these little suckers have a way of going MIA all of the time. So make sure to add a few $4.49 two-packs of 0-3-month Philips Avent Pacifiers to your Amazon baby registry. I had never seen one of these before we had our third child. However, the photographer who came into our hospital room to take newborn pictures had one with her. That’s when I first got to see this amazing contraption work its magic. The concept is simple: It’s basically a white noise machine, except all it does is play a shushing sound. You can adjust the volume and set the Baby Shusher to play for 15 minutes or 30 minutes — depending on what works best for your baby. 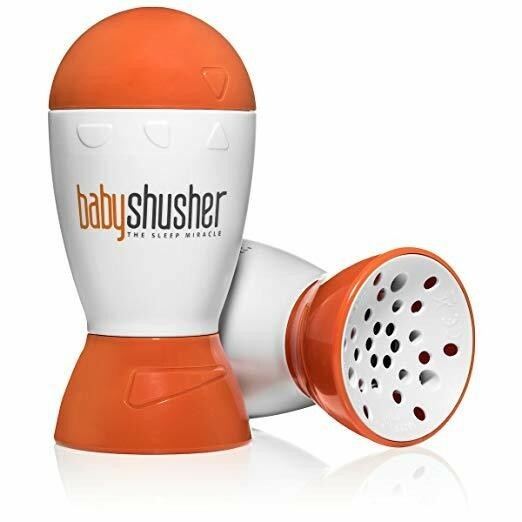 Check out this YouTube review to see the Baby Shusher in action. 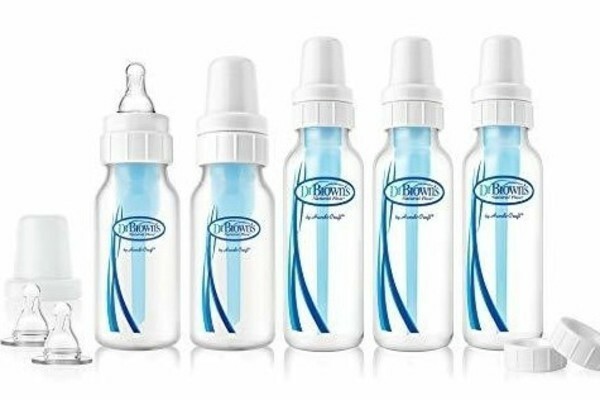 The Dr. Brown’s Original Bottle Newborn Feeding Set is another one of Amazon’s top-sellers — and it also happened to snag the number one spot on BabyCenter’s 2018 Mom Picks for best baby bottles. Parents seem to love the unique vent system that removes air from milk while maintaining essential vitamins like C, A and E. This reduces feeding issues such as colic, spit-up, burping and gas. Additionally, these bottles help prevent fluid in the ear. For $23.15, this newborn feeding set includes three 8-ounce bottles and two 4-ounce bottles. Ask any parent and they'll tell you: Bodysuits are a staple for any baby's wardrobe. The snap-off bottoms make diaper changing easy. Plus, if your little one has a massive diaper blowout, you can simply pull the bodysuit down and off — you know, without having to pull it up and off and worrying about diaper leakage getting in your baby's hair. They're great for layering, or by themselves with pants. 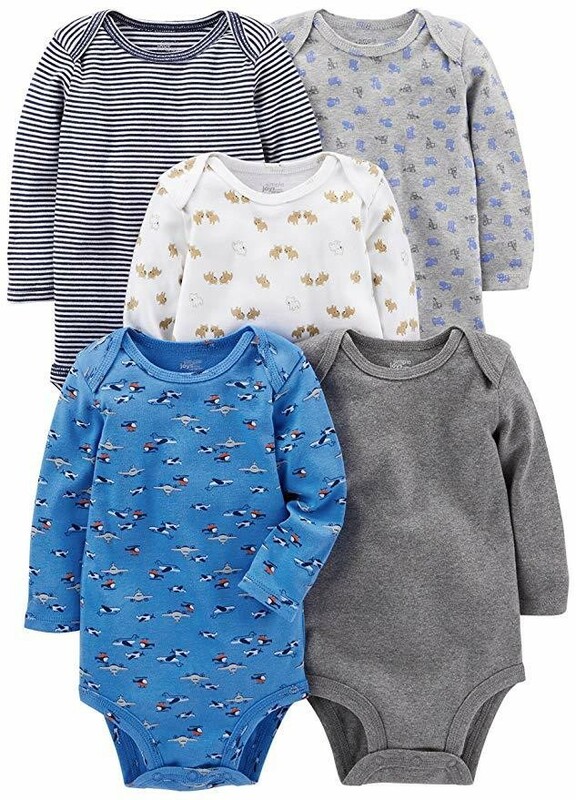 So this $17.99 five-pack of Simple Joys by Carter's Baby Boys' Long-Sleeve Bodysuits is a fantastic starter pack to build your bodysuit stash. Pick a few of your favorite sets for your Amazon registry in different sizes, and in long and short sleeves, and you'll be set. This adorably plush swing is another Amazon baby registry must-have. The Fisher-Price Sweet Snugapuppy Dreams Cradle 'n Swing is a top seller that swings from side to side or from front to back, depending on the motion your baby prefers. 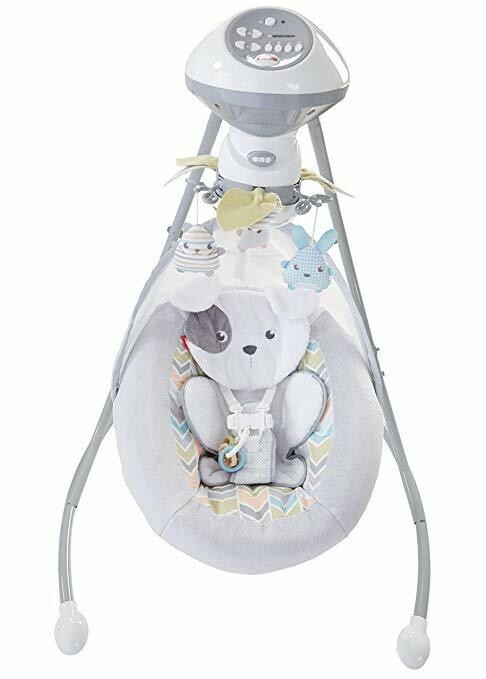 With two-position recline, this $119 swing also features 16 songs and nature sounds, and an overhead mobile with lights — and it can be all controlled from an app on your smart device. Check out this YouTube review/tutorial to see this swing in action. One five-star reviewer tried a different swing before ultimately settling on this model, writing, "Should have listened when everyone said get a swing. We got a mamaRoo instead and he HATES IT! This thing is gold! We have a possibly Colic 3 month old who cries and cries when we put him down. We broke down and ordered this last week. It came Friday and he’s been a heavenly baby ever since. He’s taken two two hour naps each day in this thing!! He’s been in such a pleasant mood I think because he’s been napping! Also last night he was in here for 4 hours then I fed him and transferred him to bed without him waking up!!" 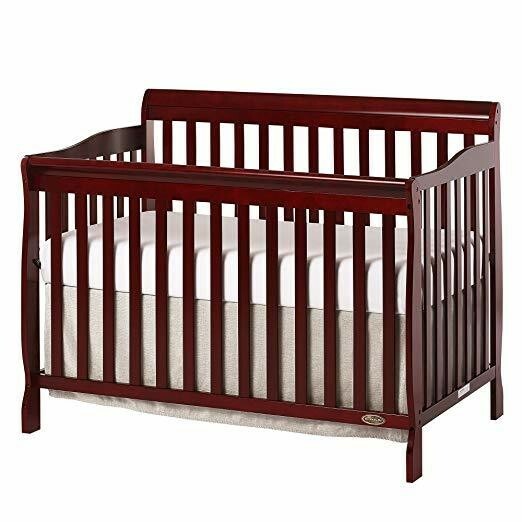 This affordable crib is not only sturdy and pleasing to the eye, but it actually grows with your child through the years. That's because the Dream On Me Ashton 5 in 1 Convertible Crib converts into a toddler bed, a daybed and a full-size bed. (Just keep in mind the toddler guardrail, stabilizer and full-size rail are each sold separately.) It's worth noting that parents will have purchase a crib mattress separately, as well. This particular model is available in six different colors, and the price varies depending on which one you choose. Note: the crib pictured below is the cherry finish, which is priced at $129.99. One satisfied Amazon customer wrote, "We love this crib. Our daughter has been in it for 6 months now and we've used it at all available mattress heights so far. It's easy to adjust the mattress height. The crib is lightweight enough to pull it away from the wall and push it back easily if the pacifier gets dropped (or thrown) behind it. We are looking forward to converting it to a bed in the future. Our only concern is that the paint chips off when she chews on the top bars, which I understand from talking with other parents happens on all cribs, so we recommend getting a protective barrier of some kind. It is a beautiful crib and looks great it her room. The grey is very light, almost white in some lights." Whether you use them for swaddling, tucking your baby into his car seat on chilly days, as burp cloths or to lie your baby on the floor for tummy time, flannel receiving blankets are so versatile and handy, that I would recommend having at least a dozen of them to start off with. 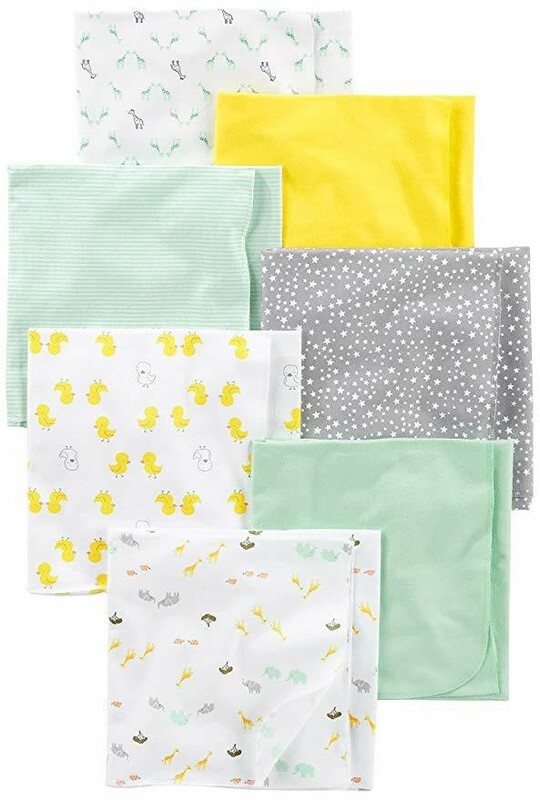 For $15.99, this seven-pack of Simple Joys by Carter's Baby Flannel Receiving Blankets will help get you started. One Amazon customer wrote, "These have such a cute design! They are simple and durable blankets and a good staple to have for baby, they are compact and you can carry them in the diaper bag without it taking up much space. Stains come out easy, they don't seem to fade/shrink in the wash. Used these a lot as burp cloths (also recommend getting a pack of cloth diapers as burp cloths!) For swaddling, I strongly suggest getting a safe swaddle such as a halo or a swaddle me, etc." Obviously, diapers are a must-have for any baby registry. But from my experience, Pampers Swaddlers are the ideal choice, particularly when your baby is little. These soft diapers are gentle on your baby's skin, have a wetness indicator line and include an umbilical cord notch to avoid irritation on that healing stump. 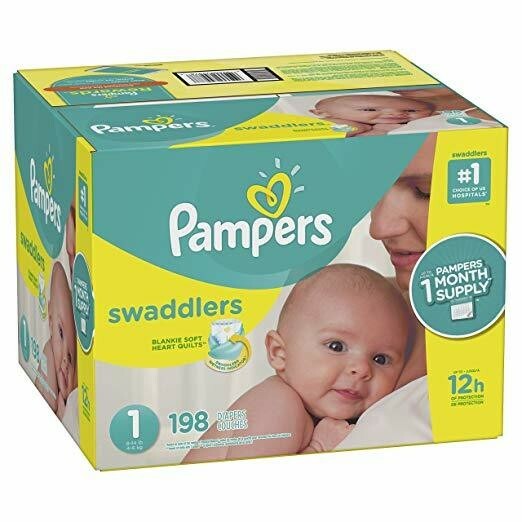 So be sure to include plenty of Pampers Swaddlers in a variety of sizes on your Amazon registry. After your registry is all said and done, another cool feature about Amazon is that if you're a Prime member, you can set up a monthly subscription for diapers — through Subscribe & Save — and save up to 20 percent in the process. Since you'll be using a ton of diapers, you might as well save where you can, right? We hope you love these products! So you know, Mabel + Moxie may collect a share of sales from the links on this page.